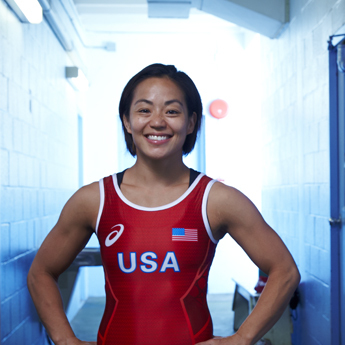 Clarissa Chun is a 33-year-old Asian American born in Honolulu and raised in Kapolei, who found a true passion for judo from an early age. After switching to women’s wresting in her junior year at Roosevelt High, the diminutive 4-feet 11-inch competitor went on to become a Hawai‘i State champion in 1999 as well as achieving an illustrious college career in the demanding sport. Then, she fulfilled a lifelong dream by qualifying as a member of the U.S. Olympic team. At the 2012 Olympic Games in London she won a bronze medal in her weight class (48 kg / 105.5 lbs). Most notably, she was the first woman wrestler from Hawai‘i to win a medal at the Olympics. Quite a feat for the inspiring young lady from O’ahu. Inspired by Clarissa’s story? Check out what others are passionate about through other Voices with Substance and our blog. Discover your substance by taking this simple quiz.